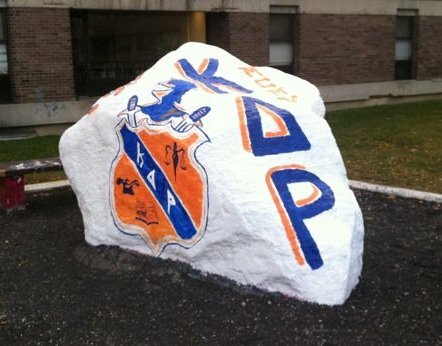 This is the official website of the Alpha Gamma chapter of Kappa Delta Rho. The following pages will detail all of the fraternity's current activities as well as our impressive history. The chapter would like to congratulate all the new brothers of the Alpha Gamma Chapter of Kappa Delta Rho! With the semester winding down and exams coming up, everyone is already looking forward to the summer. With a new class of brothers to be sworn in in April, everyone is in high spirits for the coming year.